This Specially designed package improves both ride and handling at a very affordable price. Balanced anti-sway bars assure flat, neutral steering. 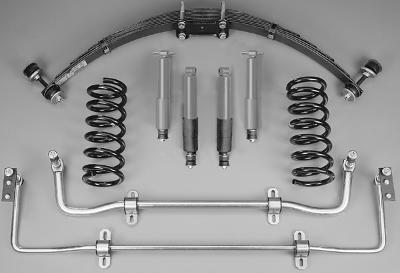 New springs restore ride height and oil filled w/nitrogen bladder shocks smooth and control the car.